Choosing the right business is often tough with so many choices. Build trust with a high-quality virtual tour photography that lets people experience your location before they arrive. These immersive, virtual experiences inspire greater confidence among prospective guests and patrons. We can help you more easily create and publish your virtual tour. When searching for businesses, consumers use mapping products 44% of the time. Furthermore, listings with photos and a virtual tour are twice as likely to generate interest. We are happy to offer you virtual tours that will provide your customers with the ability to visit your business online. Our tour and photos can be viewed instantly from anywhere through Google searches and Google maps. Today, the majority of people use the internet to search for information when they are thinking of buying any type of product, hiring a service, or looking for a facility. 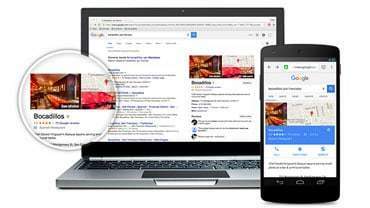 Adding interaction to your website or Google search & maps means potential customers will reach you faster, and give you superior status over the competition. In our current economic atmosphere, it’s important that you ensure potential customers and clients choose you over the competition. Adding a virtual tour can assist in that goal. We create high-definition (HD) full-screen interactive Virtual Tours for all types of businesses.